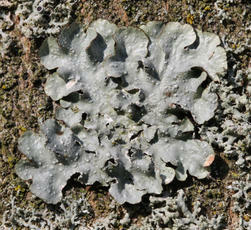 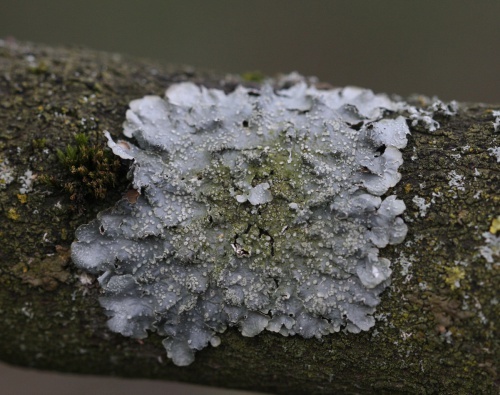 This is a grey, leafy lichen which grows to around 7cm. 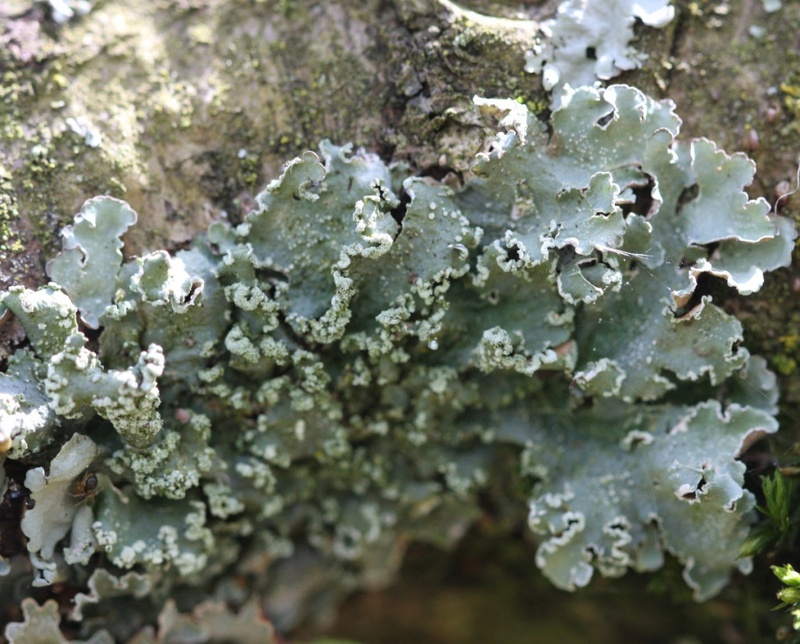 It can appear much greener when wet. The smooth lobes are about 1cm wide and studded with white dots (punctiform soralia). 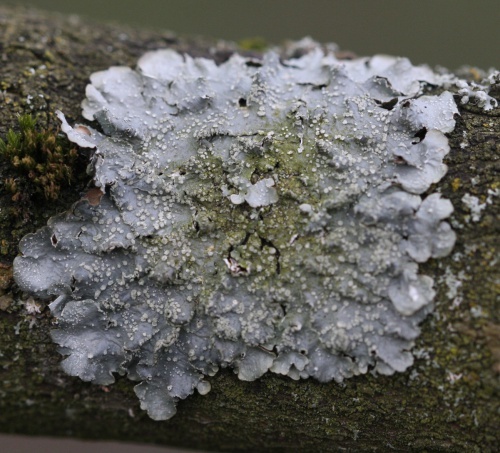 Grows on a variety of trees and also on acid rocks and memorials. Most records come from the southern half of Britain and from Northern Ireland. It is widespread in both of these areas.